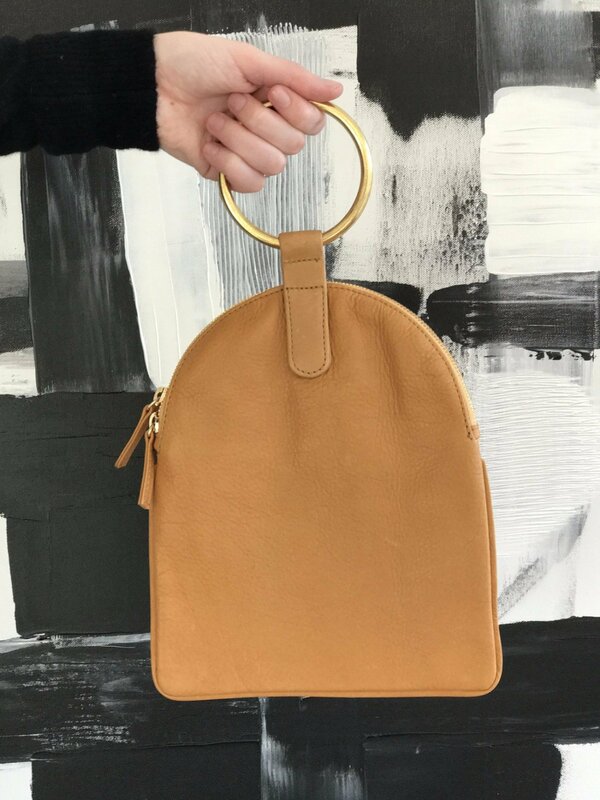 Distinctive arch-shaped leather zip pouch with brass ring handle that fits onto the wrist. Use as a hand bag or wristlet. Comfortably fits wallet, phone, and basics. Body made of cowhide with black piping. Brass ring. Unlined.